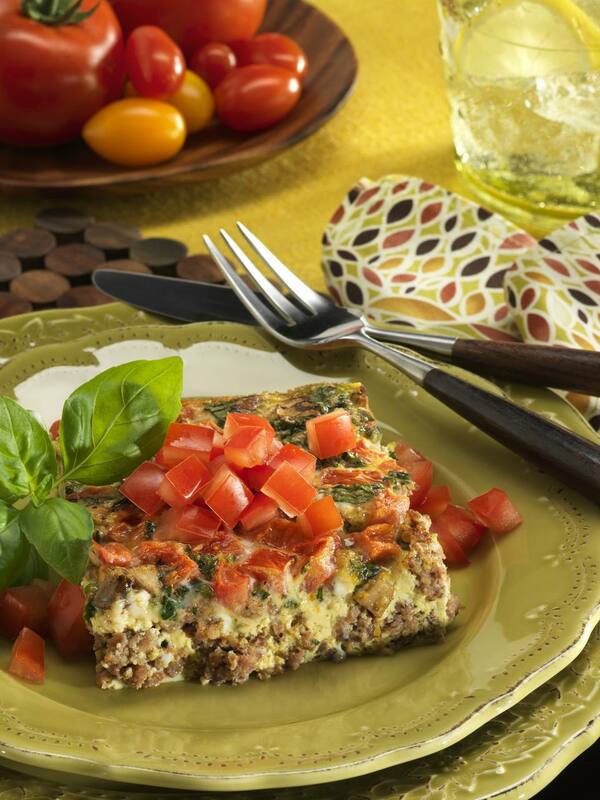 This is a tasty breakfast or brunch casserole for a busy day. Serve this casserole with fresh or warm fruit for an easy and satisfying breakfast. Heat oven to 350 F. Butter a 2-quart baking dish. Whisk eggs with milk in a bowl; set aside. Arrange torn bread over the bottom of the buttered baking dish. Sprinkle with the bacon pieces and tomato slices. Top with Cheddar cheese then pour the egg mixture evenly over the top. Sprinkle with salt and pepper. Bake for 35 to 40 minutes, until puffy and lightly browned.